Sanders Management and Contracting Inc.
Jim Sanders started Sanders Management and Contracting Inc. in Indianapolis, Indiana, 16 years ago and has been working as a FedEx contractor ever since. 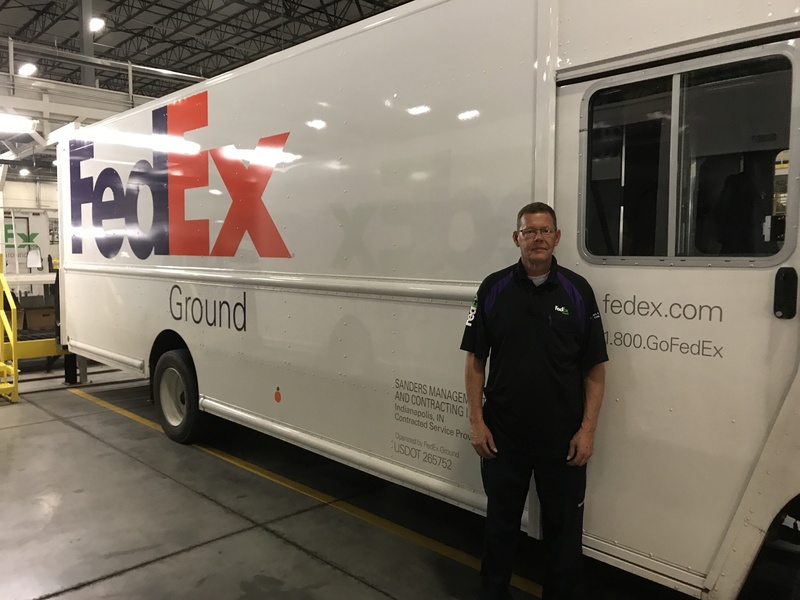 Through positive word-of-mouth, Jim started working with Stearns Bank on financing for his fleet of FedEx vehicles. In all, Jim has financed 10 trucks with Stearns Bank. Jim answered a few questions about what it’s like working with Stearns Bank. Q: What’s it like working with Stearns Bank? A: It’s a very easy company to work with. When I need to purchase a new truck, they always go over everything with me and the options that I have. On our last deal, they helped me get my old truck paid off and everything was seamless in getting new terms set up. They helped me do what was best for my business and on my own terms. Q: What makes working with Stearns Bank different than other financial institutions? A: You just don’t get this kind of service with other banks. I’ve never had any issues with Stearns as far as their customer service goes. They make it easy on me. A: I am one of the larger Fed-Ex contractors in Indianapolis. We operate 15-16 trucks on a daily basis. We also have a few spare trucks available if we need them. I always try to upgrade when I can. Our business is growing and we needed another one recently. Q: How does the holiday season change things for you ever year? A: We’re starting to see more and more packages coming in every day. It really picks up during the week of Thanksgiving and on through Christmas. You get used to the grind every year, but in the end, it’s always worth it. You know you’re making a positive difference in a lot of people’s lives.